If you're a cyclist or if you aspire to get into cycling, and if you live in the city, you know that riding a bicycle in an urban environment is different from anything else. 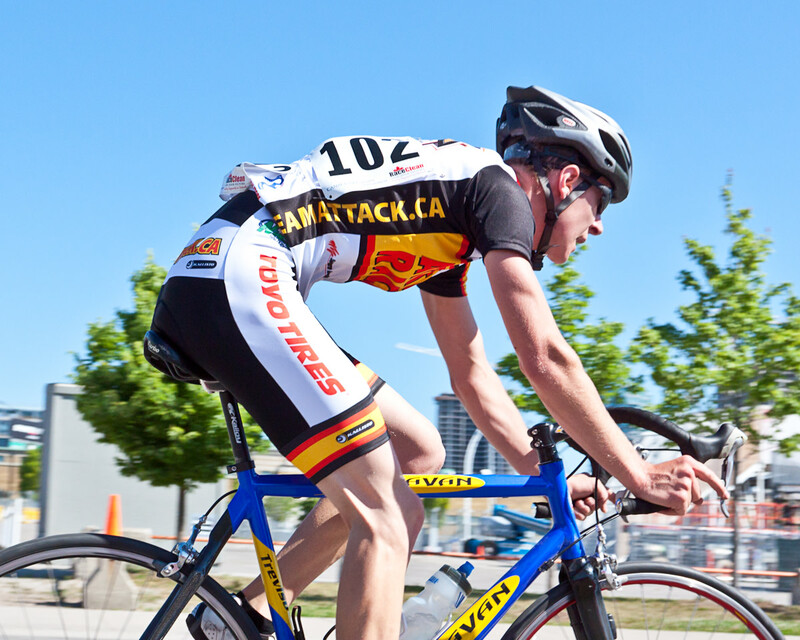 Finding the best bike for city riding can be daunting; there are many variables to consider. You want that perfect blend of comfort, convenience, efficiency and fun. The best city commuter bikes will have all of those traits and more. 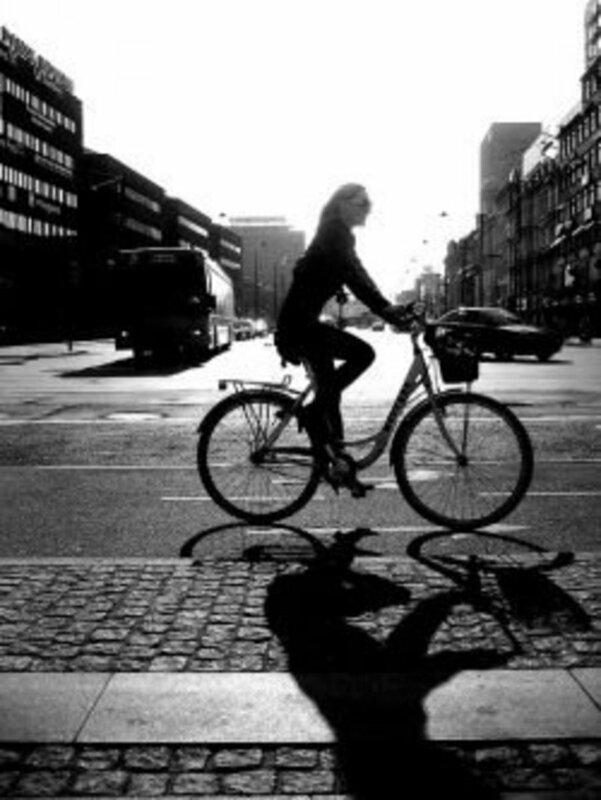 Riding a bicycle in a city requires a different style than in more rural environments. You need to be constantly aware, visible, and preferably comfortable. You want to be able to cycle wearing normal clothing, and potentially commute to work, school or to run errands. The best city bicycles have great utility yet are still fun to ride and explore on. This article is written to help you find the best, cheap city bikes for sale today. We're going to take a look at five of my favorite bikes for city riding, offering a brief review of why you might consider each one. We'll look at the included accessories and components of each one so you'll have an idea what to expect. We'll also look at a list of city riding considerations, so you'll know what makes up this style and what to keep an eye out for. There's a lot of misinformation about what makes up a good bike for city riding and what features you want. There's a lot of confusion when it comes to different styles and types. The truth is most bikes are built for a particular purpose. I find that it's easier to identify what the perfect urban bicycle is by listing the 'must haves'. Here are a few things you want in a good, cheap city bike. They may try to convince you that that cruiser bike is a 'city bike', but the truth is you want an upright riding position when you ride in the city. Think about it: you want to be visible, and have good visibility. 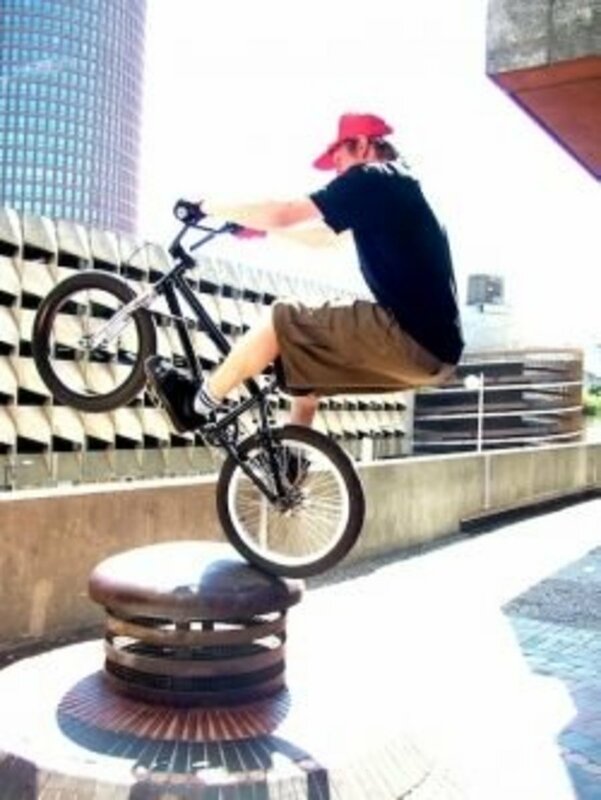 A good riding position means you have excellent balance, you can see further ahead, and the traffic around you sees you. The best bikes for city riding will have this feature. 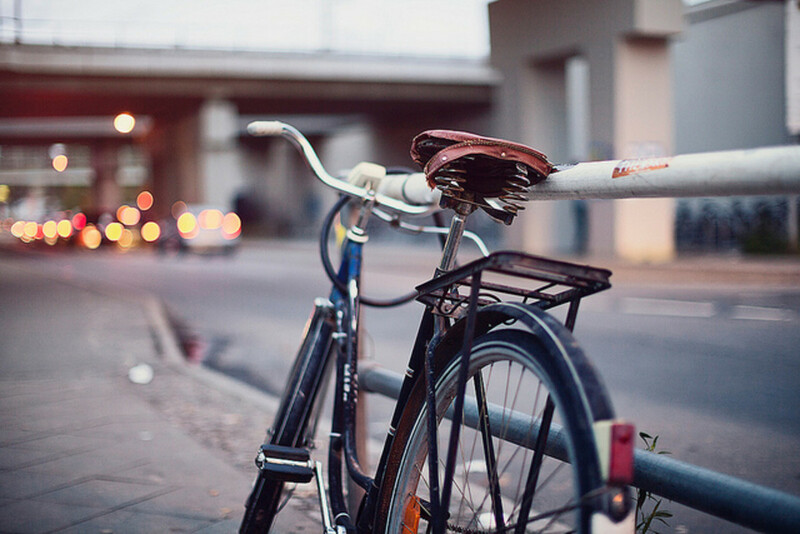 Fixed gear bikes are popular in cities, and they can work with their upright position and simple setup. But the truth is in most cities you'll want a good range of usable gears to tackle the odd hill without sweating up a storm. That doesn't mean you need like 30 speeds or anything. Eight gears with a wide gearing range should be plenty. There are some great, cheap city bikes that have 8 speed internal hubs coming out lately, they are awesome. If you're commuting around the city, you'll want your urban city commuter bicycle to have at least the potential to store small items. That means a rear storage rack, or a front basket, or both. Saddle bags are great too. It just makes sense to have somewhere to stash your jacket or groceries or briefcase or umbrella. The best bikes for city riding will have a built in rear luggage rack for pannier bags or what have you. Schwinn has a good reputation for producing affordable, good quality bikes, and this one fits that bill. 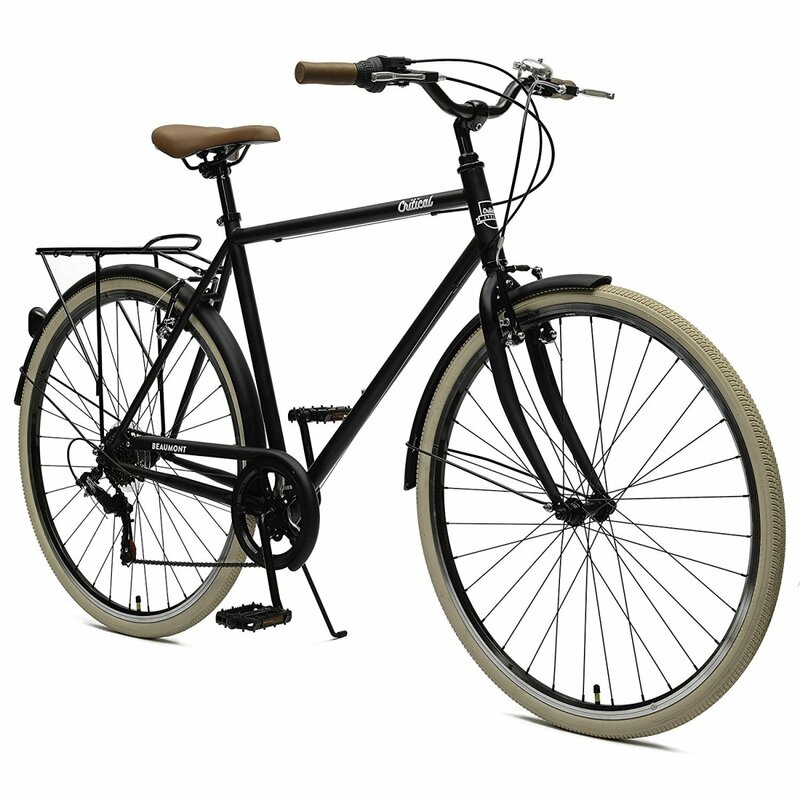 The Schwinn Network 3.0 is a very flexible and fun bike that's perfect for city riding, and it's a great entry price for someone getting back into riding. It's got an upright riding position and comfortable handlebars. It comes in a clean, urban-inspired style that will turn heads as you ride. The frame itself is aluminum alloy, meaning this bike is lighter than you'd think. The Shimano 21 speed drivetrain with EZ-Fire shifters has just about the perfect gearing ratio for any riding situation in the city. The linear pull Promax brakes will stop you surprisingly well. I also really enjoy the classic yet modern style of the frame. It doesn't have an integrated rear bike rack, but you can easily add one. It's a fun and good-looking city commuter style bicycle, and it's available in a women's style step-through frame too, if that's your preference. If you're a fan of a classic bicycle look, you should definitely check out the Critical Cycles Beaumont. It's a seven-speed bicycle that has a lot of great features, and it's a wonderfully inexpensive city bike with some great urban riding attributes. Like many of the others I've featured here, this bicycle comes with a lot of accessories out of the box. It has integrated fenders and a chain guard, so you'll be able to ride in the rain without fear of mess from the wet pavement. It comes with a low maintenance 7-speed rear derailleur. 7 speeds may not seem like much, but for commuting it's an ideal range and should be more than enough for any hills you encounter. 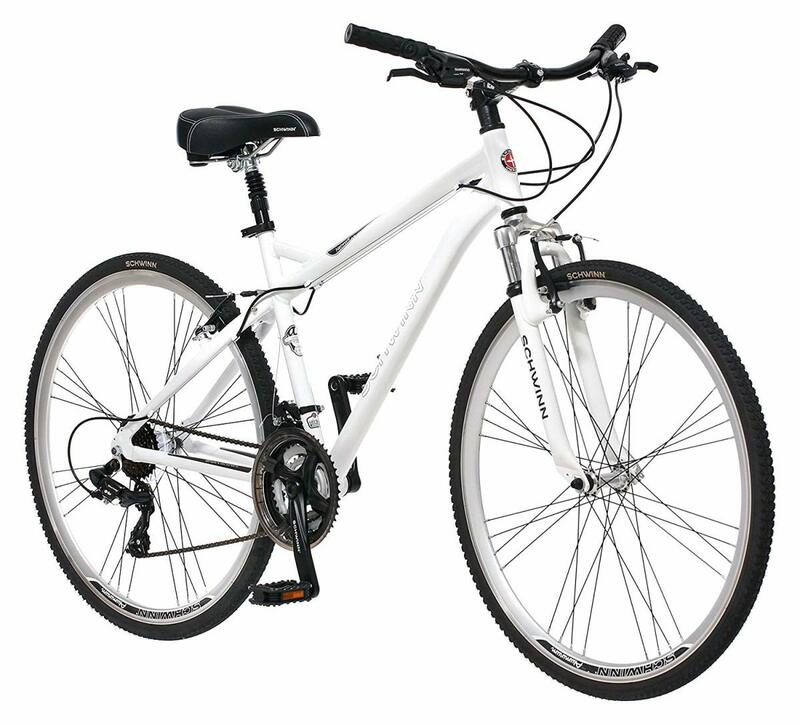 The frame is steel, which is durable and tastefully painted and badged. It comes in a variety of colours, each of which is subtle, subdued and absolutely gorgeous. You even have a bit of choice with tire colour. Looking for a ladie's bike? There's a loop-frame version of the Beaumont which is otherwise identical. The Diamondback Clarity is a long-time favourite of mine, and it's a best seller. The bike is extremely well-rounded, and it's one of the few models that can handle a bit of trails and dirt, as well as dedicated city riding. 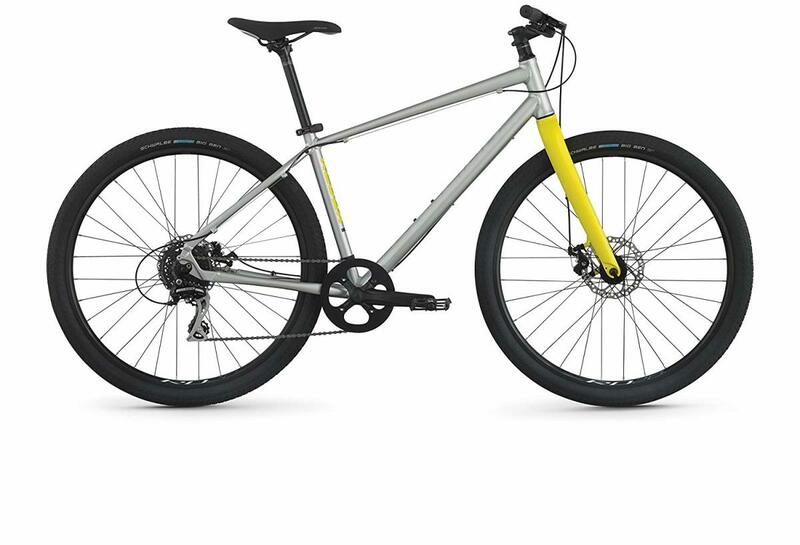 It's one of the better bikes for city riding with its feather-light aluminum frame, thin but aggressive tires (perfect for crushing that pavement), and included Tektro mechanical disc brakes that are far less affected by mud, rain and slush than traditional v-brakes. There are no suspension front forks or seat post cushioning to overcome bumps because this is a performance hyrid. The upside is that means this bike is very lithe and maneuverable. The wheels are 700c with slim, grippy tires that do very well on both pavement and light trails. 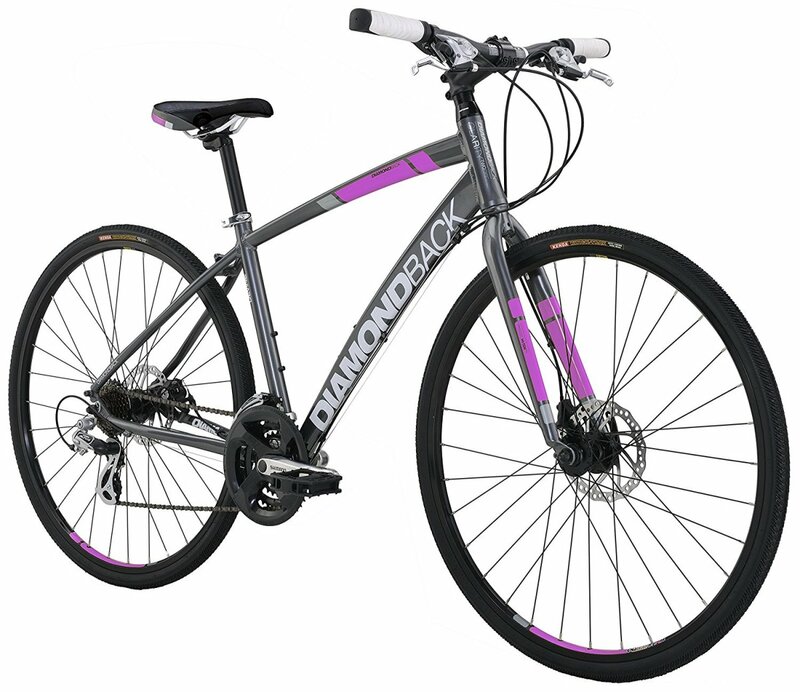 The bike that's pictured is a smaller frame city bike that's intended for women, but Diamondback does make an identical (just slightly larger) standard men's style frame if you prefer that, called the Insight. Overall, the Clarity is a versatile ride that you'll get a lot of use out of if you live in the city. 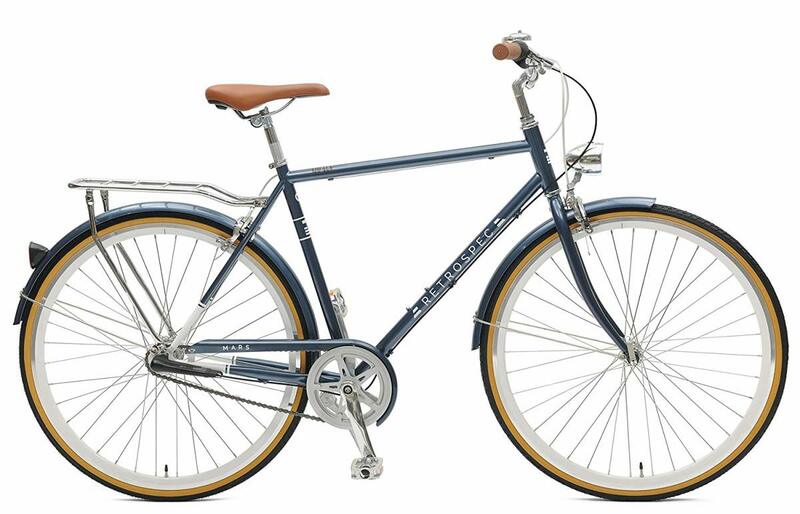 The Raleigh Redux is a fine example of a style called the Dual Sport, otherwise known as a sport hybrid. It has slightly beefier tires than a traditional hybrid, with a durable, aggressive frame. It's meant to go from trail to pavement with ease and stop on a dime. The Redux is one of the best bikes for city / urban riding, because it is so versatile. It has tons of clearance for curbs, and mechanical disc brakes that stop well in sun, rain or mud. The frame is a light but sturdy aluminum alloy, and the seating position is dynamic, comfortable and controlled. The high contrast aero forks are strong, and those chunky urban tires roll nicely on pavement or dirt. Fun, fast and good looking, this is one of the top inexpensive city bikes for urban riding. Raleigh is a great brand too. 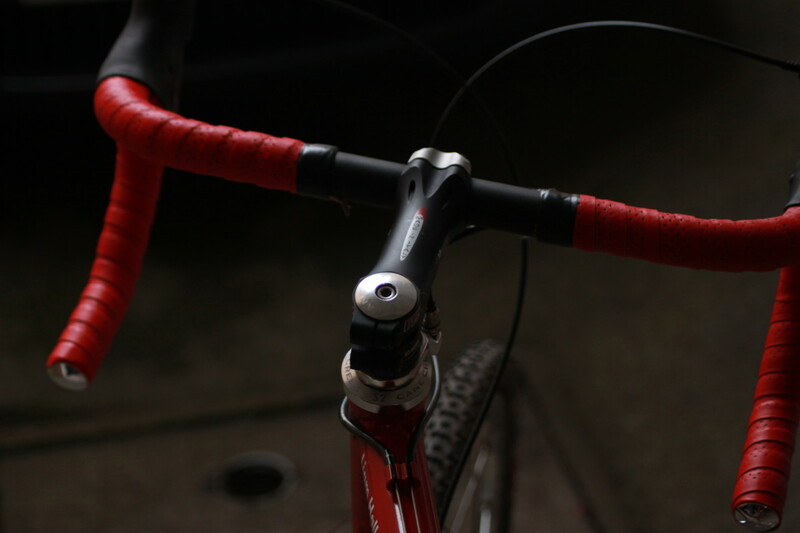 If you're not looking for bells and whistles, you can always opt for a single speed or a 3-speed. They work really nicely if you live somewhere without a lot of grueling hills. Single speeds have some real advantages: they're easy to ride, and require less maintenance. They also happen to be gorgeous to look at. 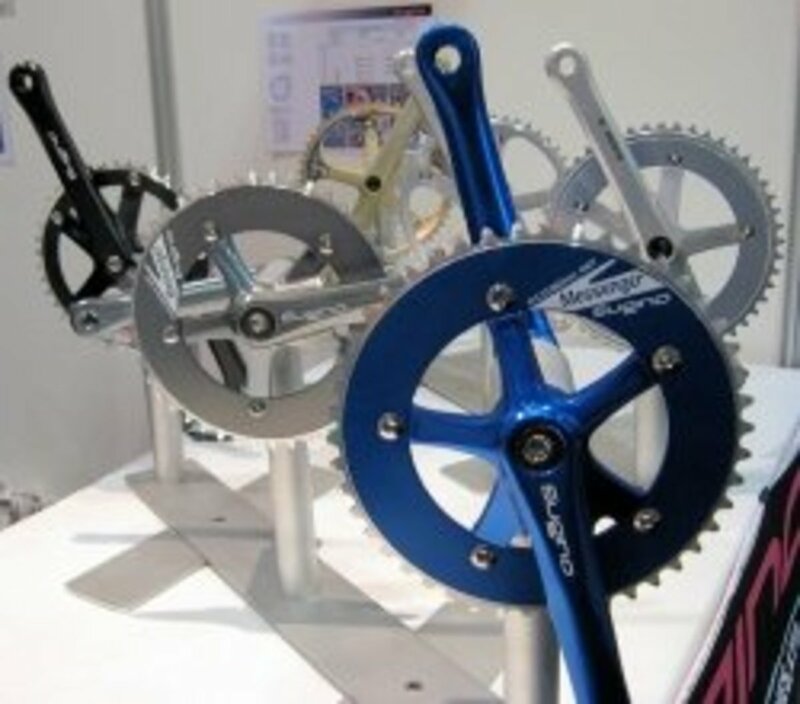 Three speeds are equally excellent; they boast a similar clean chain line, and you can change gears at a standstill. The Retrospec Mars is one of the very best city bikes around because of that simplicity. The frame is clean and classic, and it will accept most accessories easily. It's not a fixed gear, so you can coast down hills, and it comes with an integrate coaster brake, which is tons of fun to use. 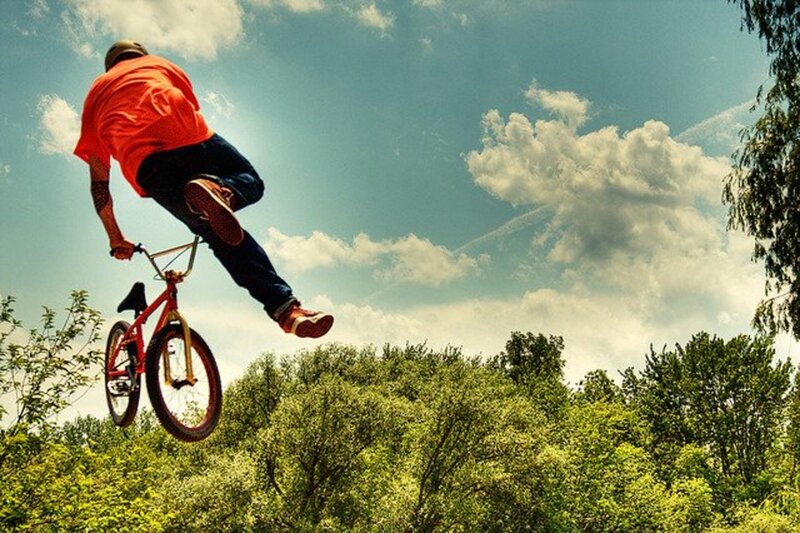 The riding position is neutral and upright, so you'll see what's going on around you (and others will see you). It's a great bicycle for city riding because it's so technologically straightforward, yet you'll get tons of looks because of its gorgeous, classic appeal. I often hear confusion regarding hybrid bicycles and city bikes. They are often considered one and the same, and that's not really true. Hybrid bicycles can make good city commuter bikes in some circumstances, but they are really intended to be a compromise between road and trails riding. Most city commuters won't have trails to worry about, so they are free to consider other options that are more suitable. The best bicycles for city riding will have a good amount of tread and comfortable suspension, but the tuning, riding position, tire style and gear range will be a bit different. 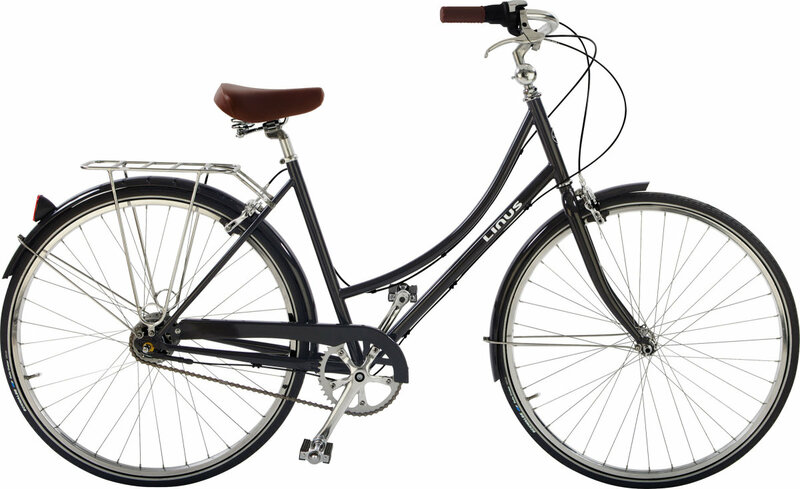 The Dutch style bike is a classic look, popularized by the canal bikes found in Amsterdam and other cities. They are generally very upright and easy to ride, meant for short commutes within the city center. They're really popular, but unfortunately they can be a bit pricier. They're among the best looking city bikes for urban riding, but I'd caution against one if your commute tackles any serious terrain or hills. If you've ever been to the Netherlands, you'll notice that it's a pretty flat place, so their bikes aren't necessarily geared to handle, say, San Francisco. Most states and countries require you to wear a helmet or face a fine. Beyond that, they save lives, so be sure to pick one up if you plan to ride more often. And if you need storage options, consider getting a pannier bag for that rear luggage rack, or a saddle bag of some kind. Why are Men’s and Women’s Bikes Shaped Differently? Do you like city commuter bikes? What do you ride? Thanks for a well done comparative review combining insights and practical, accessible advice. Keep it up!